“In our current screen-saturated culture, we take in more information through visual means than at any point in history. The computers and smart phones that constantly flood us with images do more than simply convey information. They structure our relationship to information through graphical formats. Learning to interpret how visual forms not only present but produce knowledge, says Johanna Drucker, has become an essential contemporary skill. Graphesis provides a descriptive critical language for the analysis of graphical knowledge. 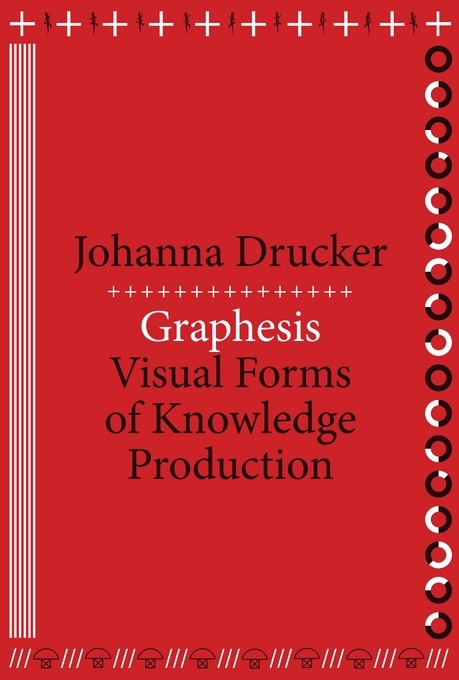 In an interdisciplinary study fusing digital humanities with media studies and graphic design history, Drucker outlines the principles by which visual formats organize meaningful content. Among the most significant of these formats is the graphical user interface (GUI)—the dominant feature of the screens of nearly all consumer electronic devices. Because so much of our personal and professional lives is mediated through visual interfaces, it is important to start thinking critically about how they shape knowledge, our behavior, and even our identity. Reviews: Scott McLemee (Inside Higher Ed 2014), Maggie Sattler (Zeteo 2014), Cory Taylor (2014), Johannah Rodgers (Brooklyn Rail 2015). See also Drucker’s 2010 Graphesis article. 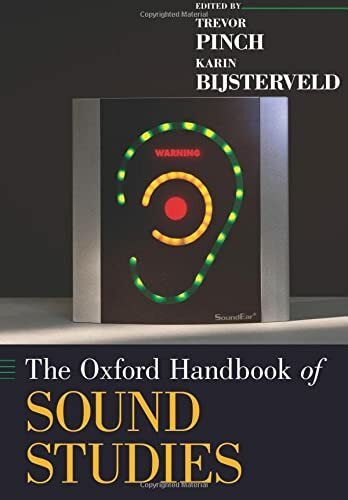 “Written by the leading scholars and researchers in the emerging field of sound studies, The Oxford Handbook of Sound Studies offers new and fully engaging perspectives on the significance of sound in its material and cultural forms. The book considers sounds and music as experienced in such diverse settings as shop floors, laboratories, clinics, design studios, homes, and clubs, across an impressively broad range of historical periods and national and cultural contexts. Reviews: John F. Barber (Leonardo, 2012), Bruce Johnson (Popular Music, 2013), William Cheng (Journal of the American Musicological Society, 2014). The monumental History of Cartography is an unprecedented survey of the development of cartography both as a science and an art. This essential reference presents the enormous value of maps to societies worldwide and explores the many ways they have been used to depict the earth, sky, and cosmos from ancient times to the present. The series is both a work of reference (comprehensive in coverage and rich in bibliographies, illustrations and other reader aids) and of scholarly interpretation (authoritative, factually up-to-date, revisionist and espousing deliberately broad terms of reference). 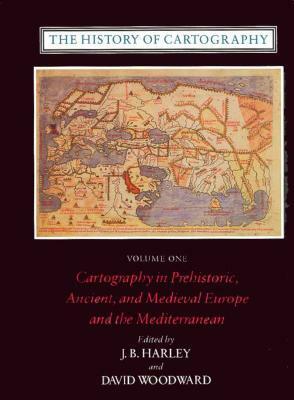 Volume 2, Book 3 (1998): Cartography in the Traditional African, American, Arctic, Australian, and Pacific Societies. Volume 3 (2007): Cartography in the European Renaissance [In two books]. Volume 4 (forthcoming, edited by Matthew Edney and Mary S. Pedley): Cartography in the European Enlightenment. Volume 5 (forthcoming, edited by Roger Kain): Cartography in the Nineteenth Century. Volume 6 (forthcoming, edited by Mark Monmonier): Cartography in the Twentieth Century.